Q In your view, what is the root cause that led to the emergence of what is called ‘ethnic problem’ in the country? There is no root cause as such. If you say root cause, it implies that there is a problem. There is no problem here. What really happens is this. When the Portuguese came to Sri Lanka, the majority in what is known as the Jaffna peninsula was Sinhala. This has been recorded by Father Queroz who is a Catholic priest and a historian. That was somewhere in the early 15th century. There were some Tamil castes. There were some Malayalam people who came from Kerala. They were brought down by the Sinhala kings. After the Dutch came, they started their tobacco plantations in Jaffna .For that, they got labourers from the Coromandel Coast. Coromandel is a corruption of Cora Manadal. That is the present ‘Tamil Nadu’. There was no ‘Tamil Nadu’. In fact there was no Tamil identity even in India. When these people were brought, they were from the Vellalar caste. Then, these Vellalars, according to the North Indian Vedic caste system, were Ksudras. There are four castes according to the Vedic system-Brahmana, Kshatriya, Waishya and Ksudra. Ksudra was the lowest. People of the southern part of India were called Ksudras. These people were brought here as agricultural labourers. The Dutch brought such people here. Also, these people were taken to South Africa. In Natal, South Africa too, Vellalar caste people are there. After these people came to Sri Lanka, the Dutch gave them prominence. The Tamil castes that were there were maltreated by the Dutch. Then, the Vellalars became the dominant people among the Tamils castes in the Jaffna peninsula at that time. Then, something else also happened. The Sinhala people who were living there were absorbed into the Tamil society. They were made the so called low castes in Jaffna; that is Karaiwar, Nalavar. Actually, such low caste people in Jaffna are descendants of Sinhala people who were living there at that time. The Dutch got Mudliyars to write a book even called Yalpanam Waippamalai. That is not a history book. It is a myth. After that, the British gave them preferential treatment again. For some reasons or other, the American missions went there and started schools. In fact, there were more English educated people in Jaffna than in the rest of the country. Jaffna Tamils always looked down upon the Batticaloa Tamils who were brought by the British. Q Then, how valid is the homeland concept? You can see all these people, whether in Jaffna, Batticaloa or in the estate sector of the hill country, were brought either by the Dutch or the British. It is not there homeland. The homeland of an ethnic group or a nation is the place where the culture associated with that ethnic group came into existence. The Tamil culture did not come into existence either in Jaffna or the eastern province. There has been no homeland here. Their homeland is in Chennai or Madurai. Ethnic groups are associated with some culture. It can be a religious culture or anything. Today, ethnic cultures are mostly associated with religions. The homeland of an ethnic group is the place where the culture associated with that group was born and came into existence. Q Then, how can the Sinhala people claim their right to this land as they originated from elsewhere in India? There are only two groups that can say this as their homeland. 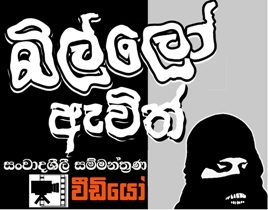 One group is Sinhala. The Sinhala culture was born here not anywhere else. If you say the Sinhala people are the descendants of King Vijeya and all, then there is no Sinhala culture prevailing in any part of India today, be it Bengal or Oddissa. That culture was born here. The other culture that was born here is that of Veddahs. Veddahs have now become Sinhalized. These people brought here were referred to as Malabars right throughout. In the latter part of the 20thcentury, they were called Ceylon Tamils. Until then, they were called Malabars. That implies that there was no ethnic Tamil identity not only here but also in so called India. The Tamil ethnic identity only came in India in the 19th century, not before that. Before that, there were many ethnic communities such as Cholas, Pandyas etc. But, there was no Tamil identity as such. There were Cholas. They would have spoken Tamil. Speaking a language does not give them identity. For example, English is spoken in Australia, New Zealand, and the United States of America. Yet, they are not called English. Even in the US, they are not called English. That is a different concept. After the Tamil identity was established in South India, these people were also called Tamils. To differentiate them from Indians, they were called Ceylon Tamils. These are interesting facts. People do not analyze these facts. Q Actually, how did this problem originate then? The so called ethnic problem started here in 1831, not in 1956 or any other time. I have explained it for more than 25 years. In 1831, the Legislative Assembly was established by the British. The British had nine official members and six unofficial members in it. The unofficial members consisted of three Europeans, one to represent the Sinhala people, one to represent the Ceylon Tamils and one to represent Burghers. Burghers were a small minority even then. That is when this so called ethnic problem started. 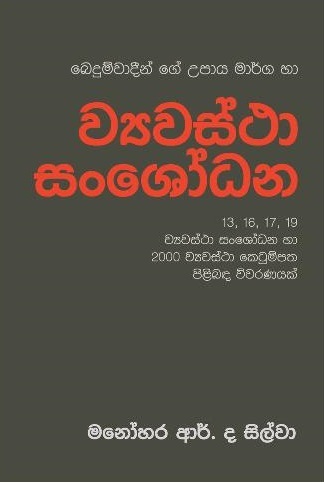 The Sinhala people had a history of at least 2000 years. They were the majority, accounting for at least 75 percent of the population. The Ceylon Tamils accounted for less than ten percent. The Ceylon Tamils only had a history up to 1650. I challenge anybody to disprove me. I base my arguments not only on the thesis by Prof. Kartikesu Indrapalan but also on Dutch records. More importantly, we cannot notice the difference of the Tamil language spoken here and parts of Tamil Nadu. The linguists’ have a way of identifying the year in which these two branches of the Tamil language started. Linguists will tell you the language spoken in in Jaffna is not more than 350 years. Any linguist can tell. I was told by a linguist. He is dead now. People like Ponnambalam Ramanathan and Ponnambalam Arunachalam also came after 1650. But, they were not assimilated into the Sinhala culture. If they were assimilated, there would have been no problem. But the Dutch prevented it. The Dutch, in fact, got Sinhala people living in Jaffna converted to Tamil. Now, Northern Province Chief Minister C.V. Wigneswaran who is related to Arunachalam is also a descendent of those who came after 1650. Mr. Wigneswaran calls Jaffna as his homeland for two things. His hometown is Colombo. But, his homeland is somewhere in Tamil Nadu. Towards the end of the 19thcentury, the Sinhala and Tamil people were made equals by the English in 1831. To equate 75 percent of the people with just ten percent of the population, to equate a history of 2000 years with a history of 350 years, what is the democracy there? 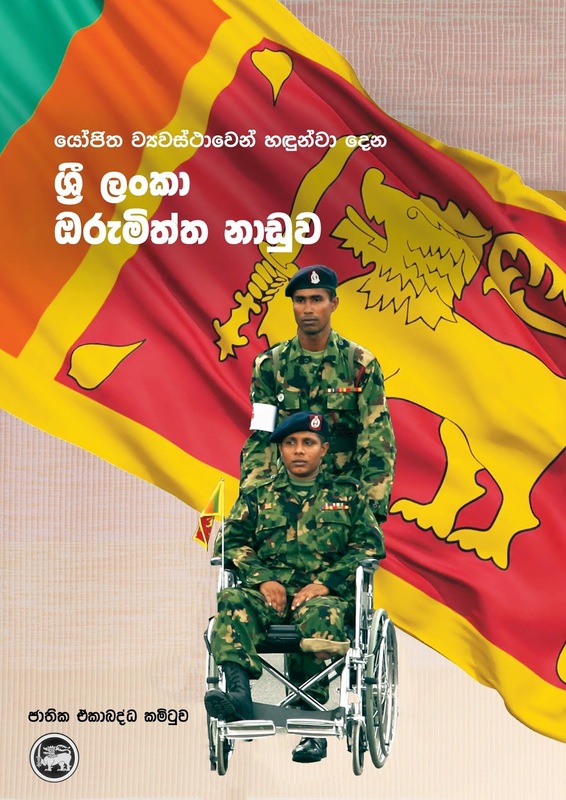 Human rights of the Sinhala people were not respected by the English. That was the beginning of the problem. English speaking Tamils were a majority. The English speaking Tamils considered themselves either equal or better than the English speaking Sinhala people. Whenever the English wanted to increase the number of representations in the Legislative Assembly, the English speaking Tamil Vellalars of Christian origin. English speaking Tamils always wanted their representatives to be equal or more than the representation of Sinhala people. People like Ramanathan and Arunachalam vehemently opposed any attempt to increase the representation of the Sinhalese in the Legislative Assembly. Ramanathan, I consider, is the first Tamil racist in this country. Unfortunately, there was some division among the English speaking Sinhalese as well. In the case of English speaking Tamils, they overwhelmingly belonged to Vellalars. But, there was infighting among English speaking Sinhala people over caste issues. In 1912, the English gave limited franchise only to the English speaking people- landed proprietors. When the elections were held for the newly constituted seats, two people contested- Markes Fernando and Ramanathan. The English educated Sinhala people, among Govigama caste, voted for Ramanathan because Markes Fernando was from Karawa caste. In 1871, the State Councils were formed. G.G. Ponnambalam fought for fifty- fifty. What is fifty-fifty? 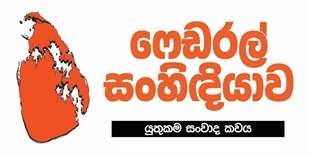 It means fifty percent of representation should be for the non-Sinhala people and the remainder for the Sinhala people. 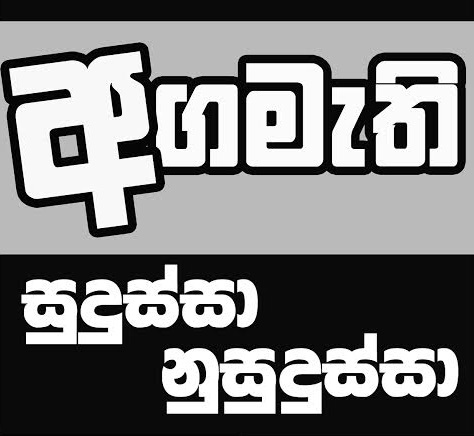 It meant less representation for the Sinhala people. Who started racism then? English speaking Tamils started this with the blessings of the English. 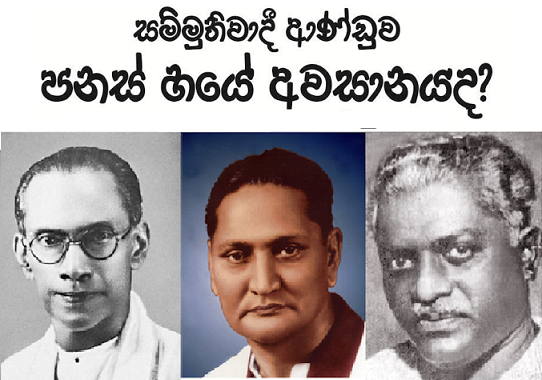 It is the Sinhala people who fought against the English rule. English wanted to suppress Sinhala people and punish them. The English, then, wanted to give universal franchise. Finally, the majority representation was from the Sinhalese. You cannot prevent that. When the Soulbury commission came in, these English speaking Tamil Vellalars went before it. They did not want the universal franchise to be given. 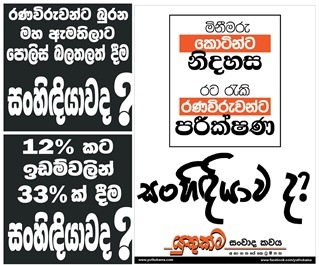 They wanted to demarcate the parliamentary seats in a manner that the Sinhala people would never get the majority. That was why, the so called multi-member constituencies were created. Even after the1947 elections, the English speaking Tamils wanted to become prominent and dominant people in Sri Lanka. But, S.J.V. Chelvanayagam, a member of the South Indian Anglican church, realized that Tamils cannot become leaders because of universal franchise. He started Ilankai Tamil Arachu Katchi (ITAK). He established his party in the GCSU building. That is to create a Tamil estate. That time, there was no Tamil homeland concept. It came after 1976. ITAK was created long before 1983, 1972 and 1956. 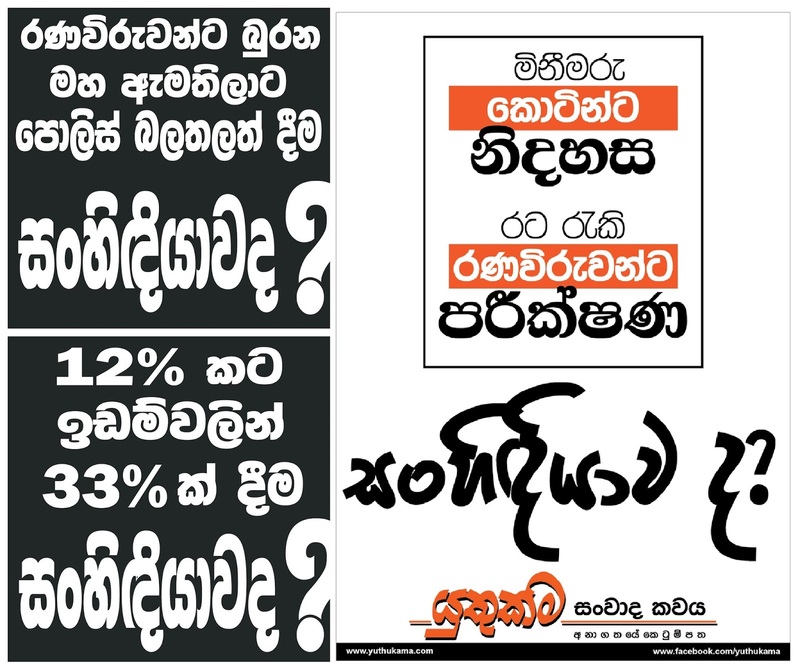 How can you blame the Sinhala people for creating the problem? Q However, there is an issue with Tamils in the north and the east asking for a solution. What is the approach you propose then? You cannot say the problem is there. Of course, Prabhakaran appeared. Prabhakaran‘s mindset was that of the English speaking Tamils. Prabhakaran was not an English speaking Tamil. 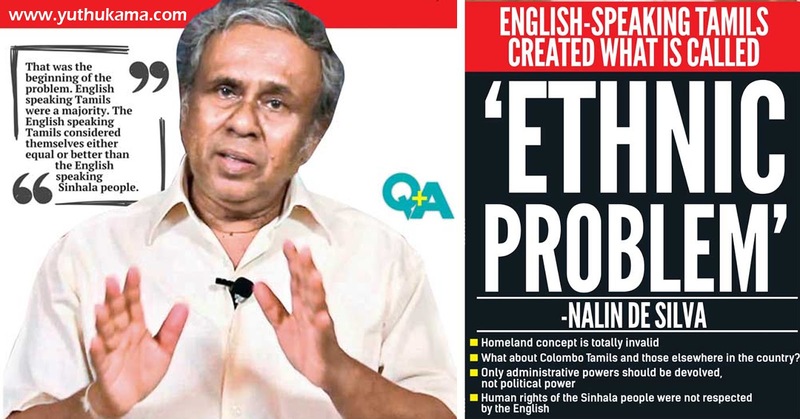 So, the problem is now in the hands of non –English speaking Tamils. Prabhakaran was influenced by the JVP as well. He used JVP tactics. His ideology was of Ramanathan and Chelvanayakam. The problem was divided into two. They say Tamils are discriminated against. Their argument is that Tamils should be given more powers devolved to the north and the east. That is the problem these people try to solve. I have asked this question for more than 25 years. What are the injustices caused to the Tamils simply because they are Tamils? Nobody has answered that question. Now, Dr. Nirmal Ranjith Devasiri answered it recently after 25 years. What is his answer? Finally he has said that the problem of Tamils is that they do not have a state of theirs. It is ridiculous. If they want a state, it has to be found in India. The northern and eastern provinces are not Tamil homelands. Also, what are they trying to solve? Are they trying to solve the problems of the Tamils in the north and the east? These two provinces were demarcated by the English only in 1889. Does it mean that only in 1889, these so called homelands came into existence? When the English demarcated this country first into five provinces, even Anuradhapura belonged to the Northern Province. 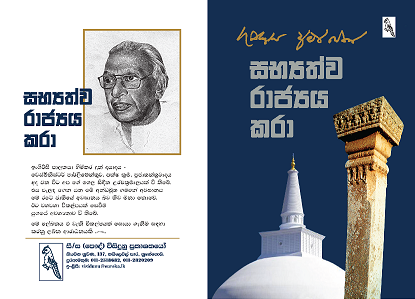 They could claim that even Anuradhapura was their homeland. Had they continued to maintain five provinces, the Sinhalese would have lost Anuradhapura as well. If devolution is going to solve the problem of the Tamils in the North and the East, what about the Colombo Tamils and those elsewhere in the country? If there are injustices, it should be to all. Aren’t you going to solve problems of the Colombo Tamils? If not so, you are discriminating against them. In the country, more than 50 percent of Tamils live outside the north and the east. Q What do you propose to do to address these matters? I have a different proposition altogether. There is no ethnic problem as such. Unfortunately, most of the Tamils in Jaffna do not know that they are descendants of Sinhala people. My position is that non -Vellalar Tamils should be made free of Vellalars. 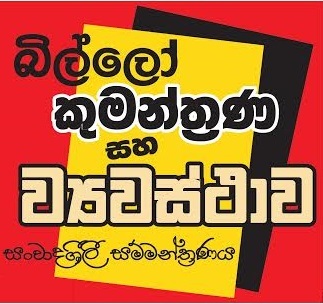 Unfortunately, the Sinhala people do not know the history of the problem. 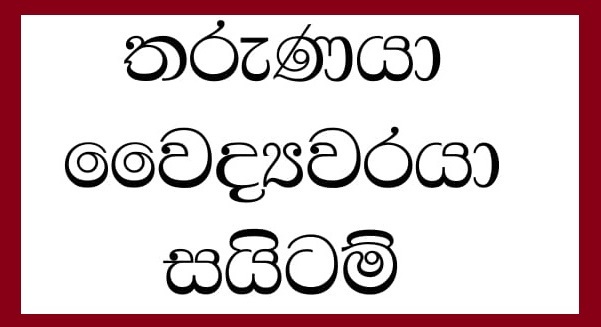 Sinhala people should be educated about it. I have been trying to educate them, but they do not understand. Thirdly, I do not believe in development in a western sense. 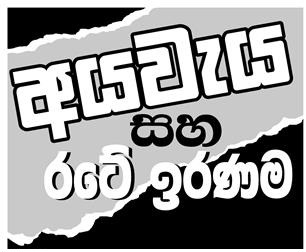 I believe the whole country should be developed without giving any preferential treatment to any district, not even to Hambantota or Polonnaruwa.